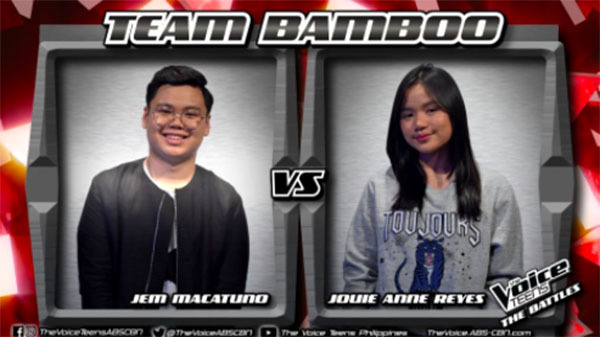 Jem Macatuno and Jouie Anne Reyes from Team Bamboo sings ‘Pag-ibig/Masaya’ mashup on The Voice Teens Philippines Battles on Saturday, June 10, 2017. “You both did good tonight,” said Sharon. “This is a fair and even fight. 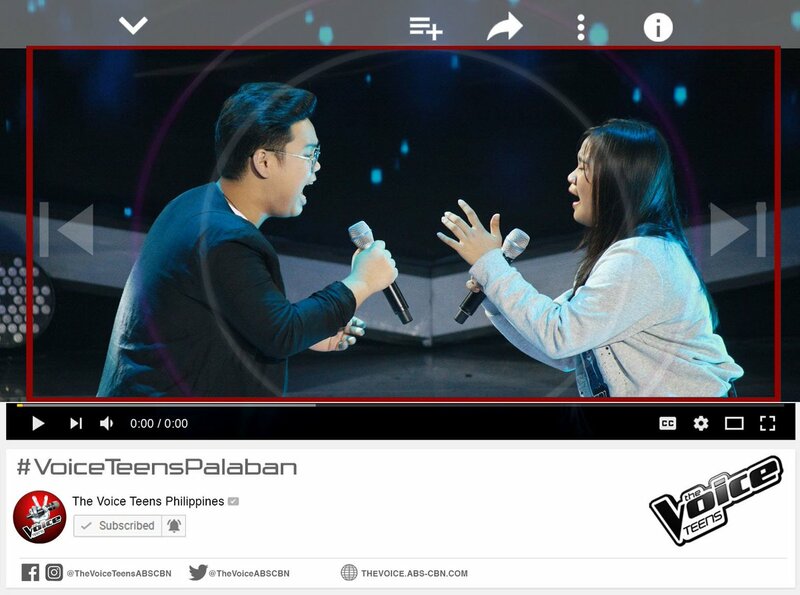 So well done,” said Lea. “You exchange energy. Thank you for the both of you,” said Bamboo.